On September 1, 2004, terrorists seized School Number One in Russia’s North Ossetian city of Beslan, taking more than a thousand people hostage: schoolchildren, their parents, relatives and teachers. The siege lasted for three days, and resulted in the deaths of 331 people, 186 of them children. On Tuesday, for the second day in a row, candles were lit to commemorate the victims of the Beslan school siege. The number of candles corresponds with the number of children, parents and teachers who died during the horrible three-day siege in 2004. The candles are lit every night and will also be lit on Wednesday night, five years after the siege ended. The Beslan school siege was the worst terrorist act in Russia’s history and the city of Beslan is still trying to adjust to normal life. A new school was built just a few meters away from the old one and pupils can still see the specter of the old school looming right outside their class windows. The memory remains painful for the locals, but they are trying hard to move on, even though many citizens who lost their loved ones are still in a state of post-traumatic psychological mental shock. Recovery is not even thought of in Beslan, as there is nothing worse for a mother than to bury her own child. The women there say that whenever they are wished a long life and good health they see that as a curse, not a wish of good will, because the only thing these people are concerned with is dying as soon as possible to see their children again. The ruins of School Number 1 in Beslan have been left untouched: burnt out, with bullet marks and shell holes everywhere in the destroyed building where children died of explosions, shot by terrorists and died simply of dehydration because they were not given to drink anything for three long days, being reduced to drink their own urine. Those who survived have borne witness to the dead, burnt bodies of their classmates and teachers. The horrors they have gone through are completely unimaginable. Such a traumatic event is possibly the reason why many of the kids who lived through the atrocity have expressed a desire to go and study medicine and dedicate their lives to the saving of others. The siege ended in chaos after an accidental shot from one of the parents that was waiting outside the school. The terrorists exploded bombs they had set up beforehand and started to execute their hostages. Many mothers of Beslan have called for the reimposition of the death penalty specifically for the only terrorist who survived and faced trial. A memorial service is to be held through the three days that mark the siege. On September 1, 2004, at 09:15 Moscow time, the school was seized and the celebration of the Day of Knowledge turned into a nationwide tragedy. The hostages were forced into the school’s gymnasium and deprived of food and water for three days until chaos broke out. 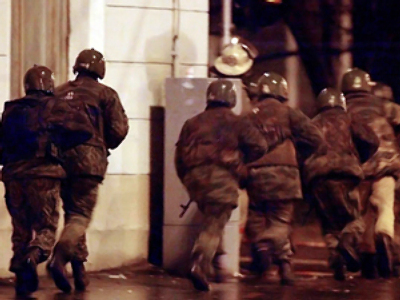 After three days, Russian special forces entered the building risking their lives to save as many people as possible. Under heavy gunfire they ran out of the building carrying children. Many aspects of the siege are still disputed – whether weapons were hidden in the school prior to the attack and how many terrorists were involved. 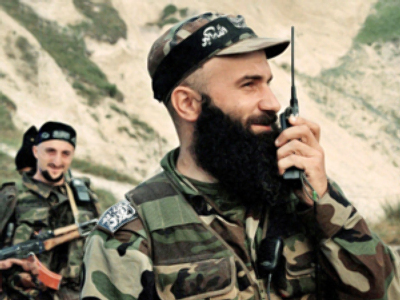 Chechens Aslan Maskhadov and Shamil Basayev, and Kuwaiti Abu-Dzeit have been named as organizers of the Beslan terrorist attack by a Russian parliamentary commission investigating the 2004 siege.